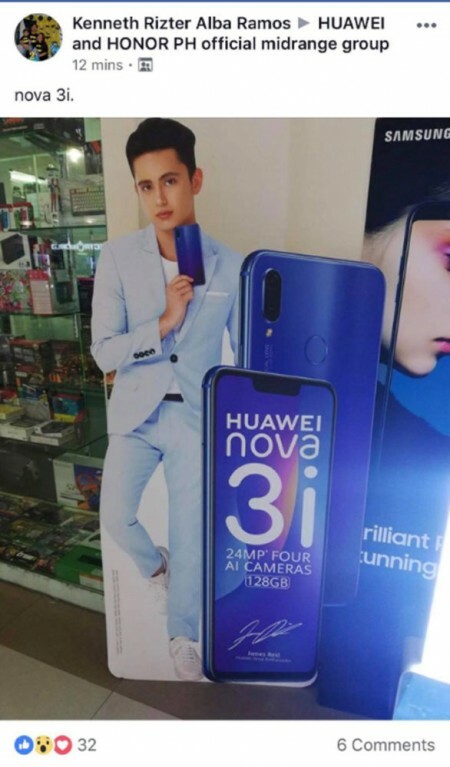 It appears that Huawei will launch the Nova 3i in the Philippines on July 28. The name of the upcoming device was spotted by a Huawei and Honor Philippines Facebook group member. Outside of the added i to the name, we expect the Nova 3i to be identical to the Huawei Nova 3, which went official today and is expected to start selling on July 18. Huawei is known to add an i to the names of devices meant for markets other than China. Specs-wise the Huawei Nova 3i/Nova 3 will have a 6.3-inch 2340x1080px display, 6GB of RAM, Kirin 970 chipset, ample 3,650mAh battery and two dual cameras - a 16MP+24MP on the back and 24MP+2MP on the front, aimed at portrait selfies. Huawei will hold an event for the Nova 3 on July 18 and it's expected it will launch the Nova 3i in the Philippines 10 days later, on July 28. I don't think this will be nova 3, the 2i is from a cheaper price range. This will use the kirin 710.
this will cannibalize the sales of p20lite (nova 3e) having the same price!